Sean Taylor is a socially engaged sound artist who has been working collaboratively for the past seventeen years. Many of his projects are realised in public spaces and involve participation from various communities of interest. Since 1999, Sean Taylor and Mikael Fernström have together formed the science/art collaboration of Softday. I spoke to Sean about his work in his studio at his home in Limerick. Sean refers to the various communities he works with as ‘communities of interest’ because they are not just the general public but specific groups of people that have a particular interest in a project. For a recent work entitled As Baile, 2011, Softday were invited by the Irish World Academy of Music at the University of Limerick to undertake a collaborative project with traditional Irish musicians and the staff of the Academy. This project explored within a specific historical and musical framework how world music has impacted on the development of traditional Irish music. Sean describes the work as a “contemporary re-mediation of the céilí dance music of the 1950’s and 60’s, which was predominantly a Scottish import, and its influence on the rural Irish music scene.” In the 50’s and 60’s there was a lot of experimental music happening around the world. Joe Meek released an electronic concept album in England and in Germany, Karl Heinz Stockhausen was mixing traditional ethnic music with electronically generated sounds, while in Ireland the biggest phenomenon was still the céilí band. Sean and Mikael both play traditional music and they were interested in exploring the use of computer synthesised instruments to play a more ‘contemporary’ traditional Irish music. Since 2009, Sean has been undertaking the certificate programme at the Deep Listening Institute in New York. The Deep Listening Institute was set up by American composer Pauline Oliveros to encourage a unique approach to music, literature, art, and meditation. Sean said his involvement in deep listening has hugely changed his approach to his work. He always had a dichotomy within his work between music and art. It was largely through collaborating with Mikael Fernström that he realised he could bring the two together and it was his involvement with the Deep Listening Institute that marked a major turning point in his work. There are three fundamental elements in this particular type of deep listening; one is the meditation and sonification of sound as a result of listening, another is based on a practice which is linked to Tai Chi and the third is working with dreams creatively as opposed to analytically. Something Sean is very interested in is creating ‘scratch’ choirs for people who can’t sing. He said everyone loves singing and, like laughing, it is beneficial to the body. So, what if you can’t sing? Sean experimented with making choirs with people who can’t sing but found that people tended to laugh at that so he quickly realised this was not constructive to the work. He then came across the tradition of roaring choirs in Scandinavia and North Germany. Cóisir an tSionann (The Shannon Suite), 2002, was a project that developed as part of this concept. Softday were interested in doing a project about the river Shannon and its metaphorical significance as the ‘spine of Ireland’. One of the elements of this piece was a roaring choir from Berlin that roared a specifically composed sound work using deconstructed songs and poems in the Irish language. The work was performed and streamed live on the web from the ESB Ardnacrusha Power Plant, Turbine Hall in County Clare. Another element to this piece was music written by Softday played by the Irish Chamber Orchestra. With data provided by ESB, Sean and Mikael followed the route of salmon that swim from the Shannon to Newfoundland, Canada, and back again over a four year period. They then converted this journey into a musical composition played on site at the Ardnacrusha Turbine Hall by the Irish Chamber Orchestra. When they do big projects like this, Sean said there is always the desire to make the piece on site and to involve as many people as they possibly can within that particular community of interest. For Cóisir an tSionann, workers at ESB Ardnacrusha performed as welders when the chamber orchestra were playing. Sometimes the community of interest will start small and evolve into something much bigger. 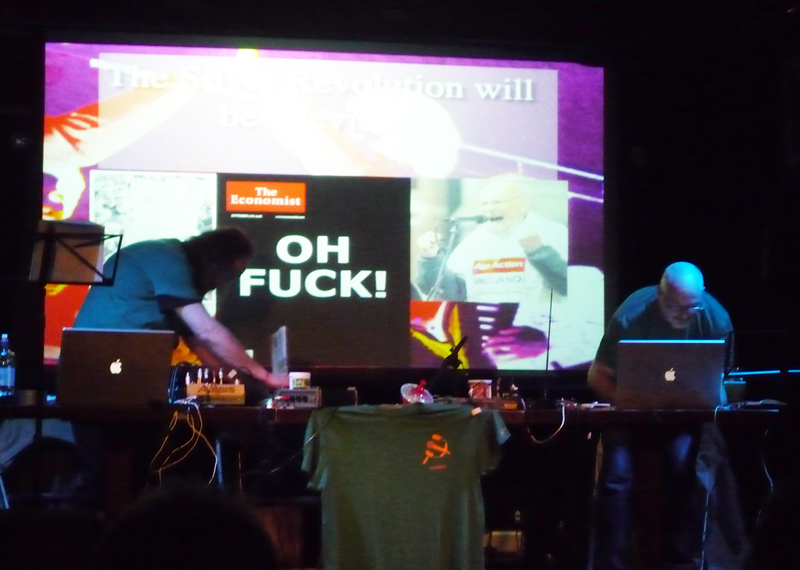 A work Softday performed in 2011, entitled Dancing at the crossroads of the End Times!, was a sound poem Sean wrote that examined the problems of contemporary democracy, including the collapse of the Celtic Tiger in Ireland, which Softday then re-mediated into a live improvised sound artwork. It was performed at Tulca 2011 so the people attending this festival would have been the first and most immediate community of interest but because of the strong political element to it, the community of interest quickly widened through the Softday facebook and Twitter pages. Recently Softday created a piece that combined a live sound performance with the publication by artist Peter Morgan of a book called, 21 proposals for the Turbine Hall which was launched in 2011. The book is a group of imagined proposals, invited by Peter, by 21 artists for the Turbine Hall at Tate Modern, London, because you must be invited by the Tate to exhibit there – artists do not propose exhibitions. The collaborative sound piece is constructed using extracted texts from the book – any time there is a sound mentioned in the book, Softday source that sound and use it in the composition. 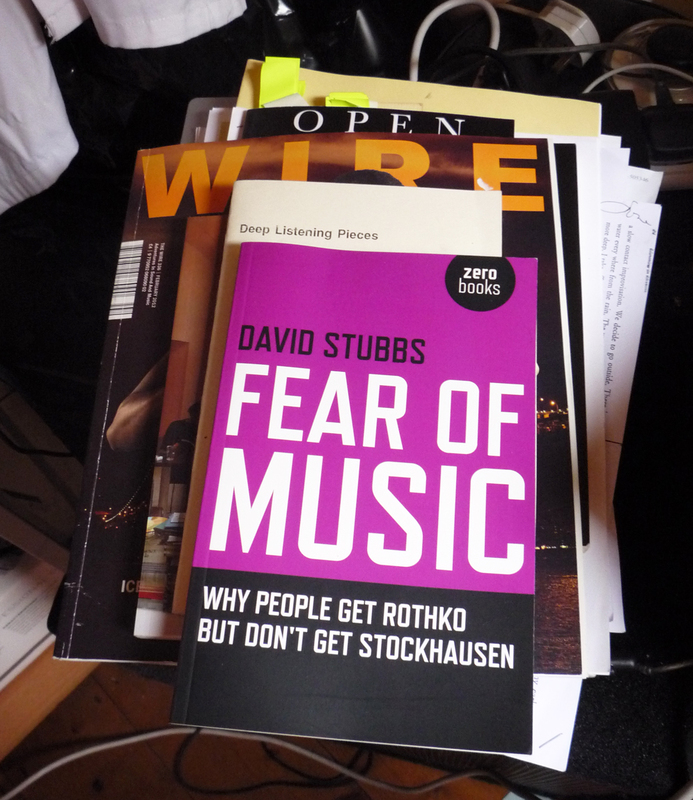 They also fed the text in the book into a software programme that converts all the text to music. Sean said because the sounds that result from this will not sound anything like the words, this brings a new element to the work. 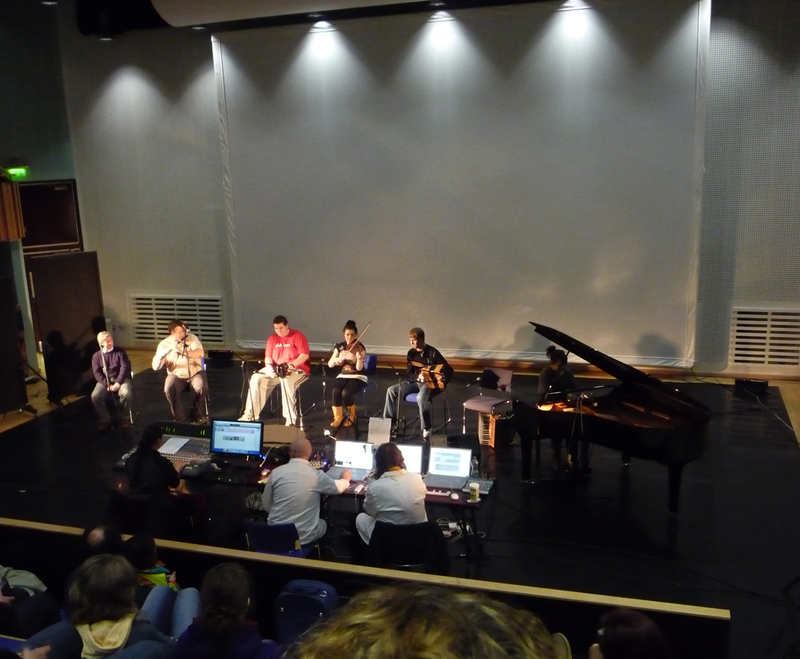 These elements are brought together and played using a combination of synthesisers, prepared musical instruments and computer programmes. Softday often use a classical Indian music structure called ‘the raga structure’ when playing improvised music. This, in its simplest terms, means they know what the beginning and the end of the piece are going to sound like and everything else in between can be an improvisation in the moment of playing. This means that listening to the other artist is an integral part of the work. At the moment Softday are in the early stages of a project called Amhran na Beacha (Song of the Bees). 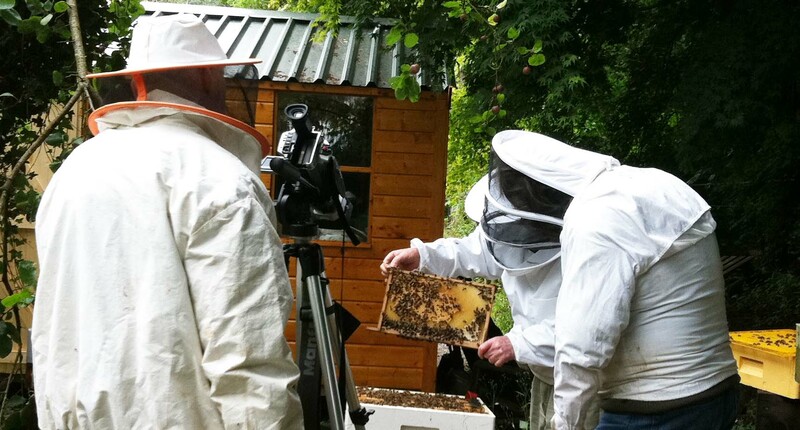 They are working collaboratively with curator and bee keeper Jenny Haughton and other Irish bee keepers and making video diaries of their research. Their interest lies in the life of honey bees and current threats such as colony collapse disorder (CCD), which is when worker bees from a beehive colony suddenly disappear.